New Delhi, Nov 14: Ahead of a major augmentation of public transport, the Delhi government on Monday approached Lt Governor Anil Baijal seeking land from the Delhi Development Authority (DDA) to park over 3,000 additional buses it plans to roll out in 2018. 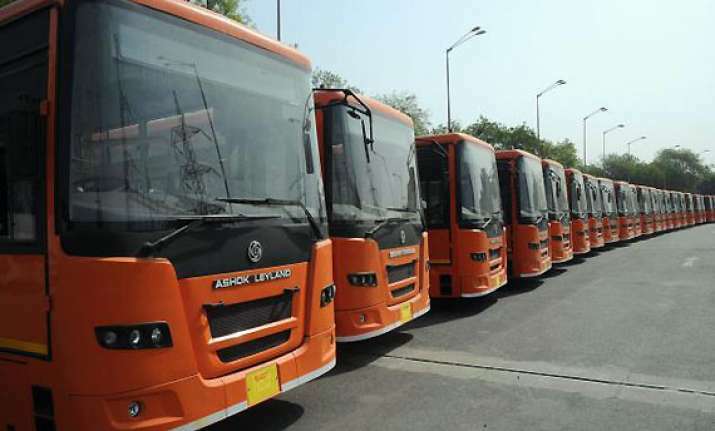 At present, the Delhi government has a fleet of 5,594 buses while it seeks to form a fleet of 11,000 buses, for which the government has started the procurement process, according to a government statement. The Delhi government will be procuring 5,406 new buses to meet the transportation demand of the national capital, especially with the green court here against exemptions to woman drivers and two-wheelers under the odd-even road rationing scheme, introduced twice in the past to curtail high air pollution levels in the city. In a letter to the Lt Governor, Delhi Transport Minister Kailash Gahlot said while they had sufficient depot land to park 2,000 additional buses, they would require at least 135 acres of land to park other 3,406 buses. "It is requested that necessary directions may kindly be given to the DDA to allot us 135 acres of land so as to enable the Delhi Government to complete its bus fleet to 11,000 buses, preferably in south and east Delhi," the minister said in the letter. "In absence of depot land, we are unable to procure any more buses," the letter added.